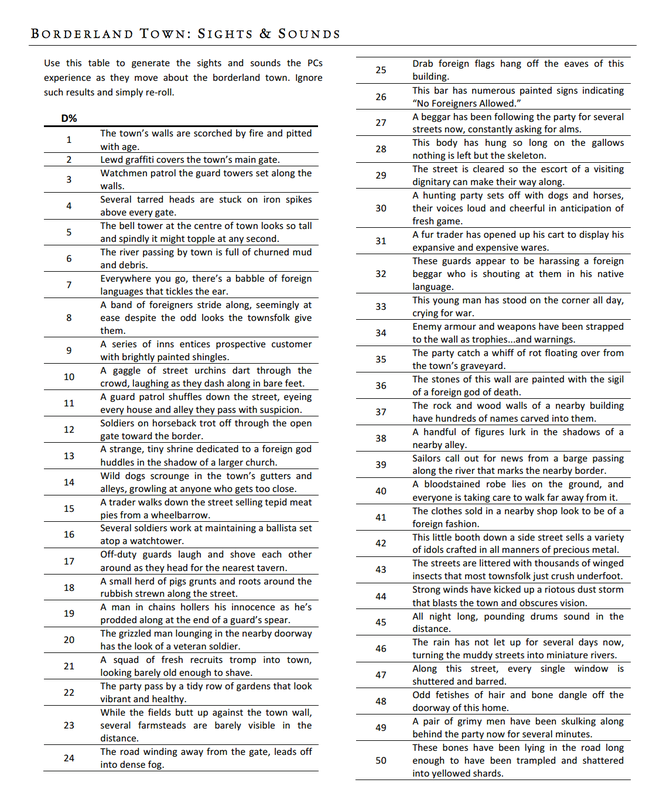 The GM's Miscellany series is the sandboxing / improving GM's friend. 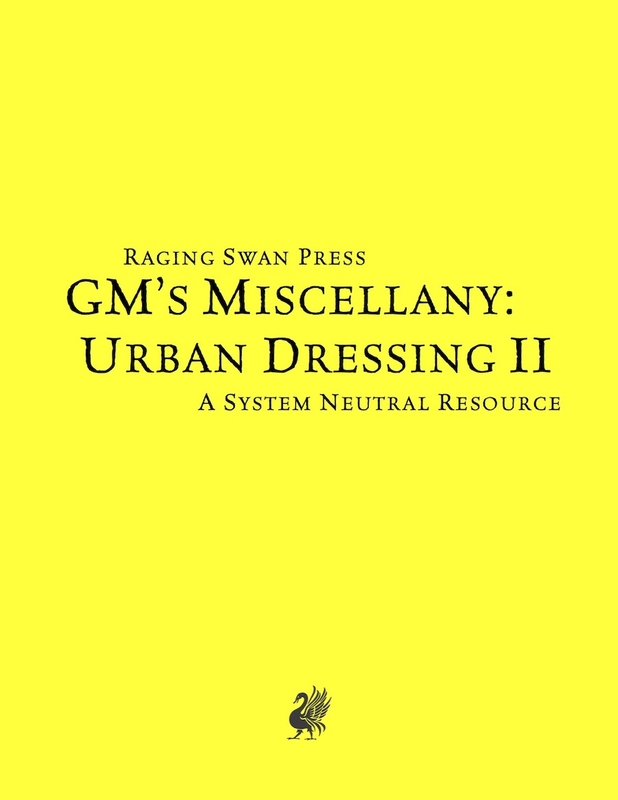 GM's Miscellany: Urban Dressing II is no exception - it's a damn good resource to have at the table when your party decides to hit the local town. That's just half of the table of the Borderland Town: Sights and Sounds. Some of these entries might spark an adventure of their own. Normally $13.99 in PDF, for the next 23 hours GM's Miscellany: Urban Dressing II (System Neutral Edition) is on sale for $6.99 - 1/2 off. Print plus PDF is $11.98 (print is normally $16.99 on its own) Eve though I have the PDF I am tempted to pick up a print copy at this discounted price. 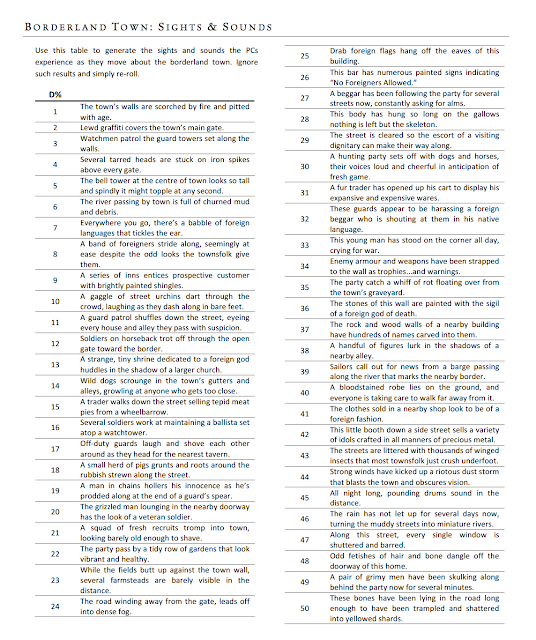 It is that useful at the gaming table. I'm obsessed with random tables and story cubes. Write 3-5 hooks on index cards and let the tables/dice do the rest. Today is also the start of the Halloween Scavenger hunt! It includes a Tunnels & Trolls Solo, if you can find it. It's Alive! Swords & Wizardry Light Proofs Exist! Help Save a Cat - Maybe Win some signed DCC RPG! WWII: Operation WhiteBox has Hit the Beach! Help The Frog God Redefine Philanthropy!